Finding ourselves in a strange city, we try to capture its landscapes, architectural ensembles and monuments of culture and art forever in the memory that once these moments would illuminate our soul with pleasant warmth and light. If one day the fate calls you in Vitebsk - then you would be really lucky. Anyone who has ever been here, note that this is a fairy tale city, a place where dreams come true and miracles happen. Yes, tourist Vitebsk can gain you heart at first sight. Perhaps it is hard to believe, but it is enough to come here at least once to tend to return to this city again and again. The secret lies in the sights of Vitebsk, which are amazing and admire with their originality. Bright, attractive and wonderfully beautiful, they are considered to be invaluable cultural property of Vtiebsk. 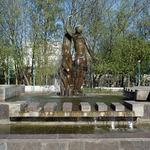 The fountains of Vitebsk especially charm. And not only with external splendor and amazing shapes, but also melodic whisper of silver drippings. Rainbow sounds of the laughing drops, if properly listen, will tell a lot of interesting form the history of Vitebsk, about the life of a modern city, and will tell your fortune for the future. And all because every drop reflects the city, so unique and fascinating. 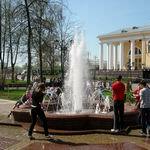 And if you still want to know what pearl drops of Vitebsk fountains is whispering about, thumb the pages of portal VitebskCity.by - and maybe one day on a sunny day you will come to a meeting with the future. 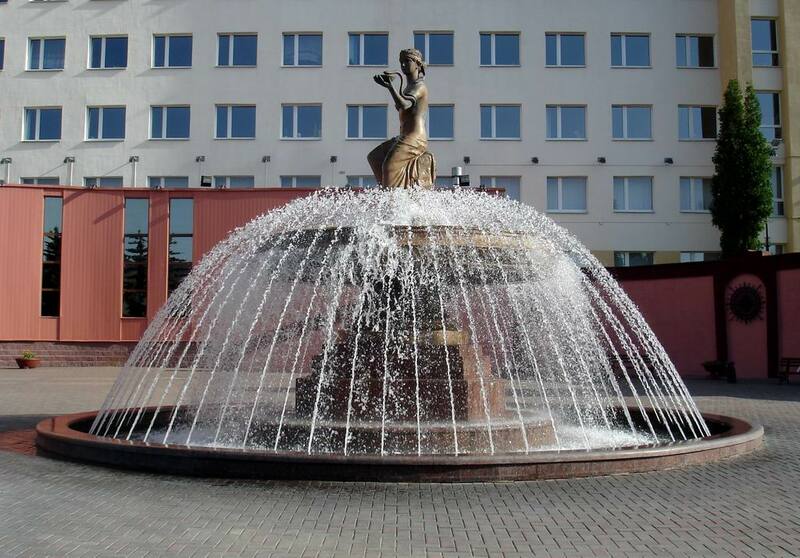 "Hygea – the Goddess of Health" fountain: rainbow mood in Vitebsk. Miracles do not just happen, they live among us. You only need to see them. 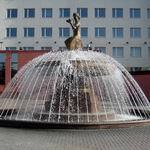 You will make it sure yourself, it is enough to see "Hygea – the Goddess of Health" Fountain which had recently appeared in Vitebsk. Silver overflow of water, which is harmoniously complemented by lighting in the evening, gives a sense of fabulousness, peace and tranquility. Fountain "Junction of Three Rivers". 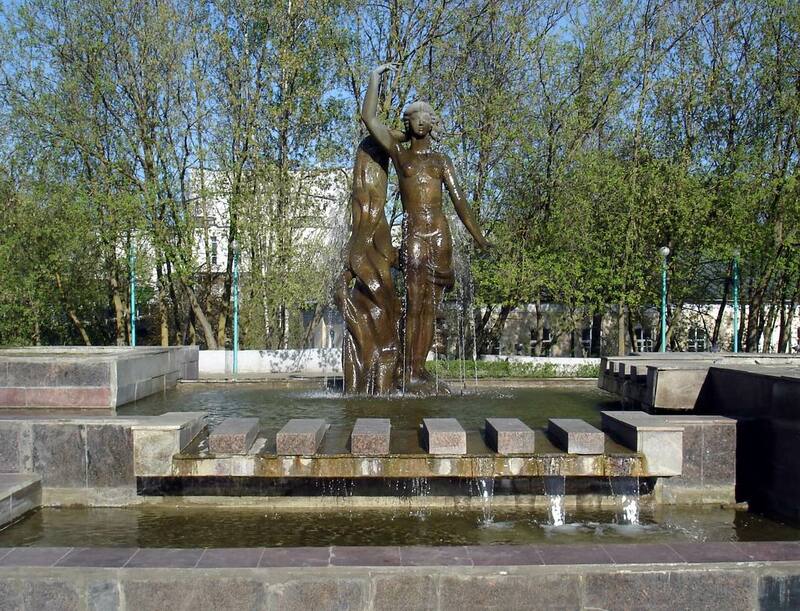 Taking a walk in Lenin Street to the City Hall, you will certainly see one of the most noticeable and symbolic architectural sites of the city over the Dvina River - Fountain "Junction of Three Rivers". Going on a tour in ancient Vitebsk, you should visit this place.